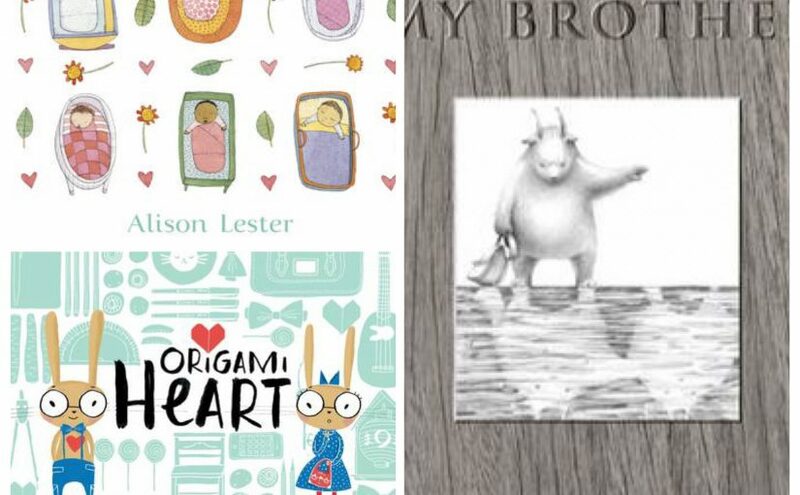 In the name of love and all things sweet and sugary, here are a few picture books that will melt your heart. It is not so much that they honour Valentine’s Day, rather the notion behind the date, of love cherished and shared. Succumb to both. Children across the globe will have no trouble recognising the iconic figures of Big and Little Nutbrown Hare. Guess How Much I Love You is one of those timeless picture books that somehow manage to enchant readers even as they age. In a heart-warming tale of what may be viewed as one-up-mans-ship (but of course, isn’t! ), Little Nutbrown Hare endeavours to prove to Big Nutbrown Hare how fathomless his love is. Of course, it’s an exercise in wishful thinking for Big Nutbrown Hare is always able to provide a counter example of how he loves his buddy just as much, thus, showing children that the love of an adult towards a child is limitless. It’s a message that is simply told and beguiling illustrated and is now available as a delightful A 4 sized colouring book. 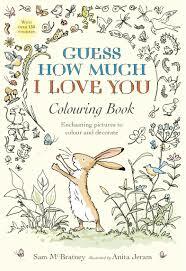 Apart from full spreads, depicting the story to colour-in, and decorate with the included stickers, fans of Guess How Much I Love You can extend their artistic verve with page after page of interesting images to colour, rather like those you would find in a therapeutic colouring in book. 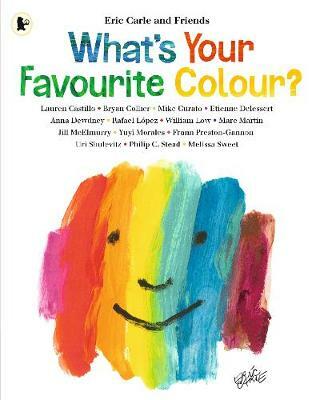 Fun and useful, this is an activity-based book to love and treasure. 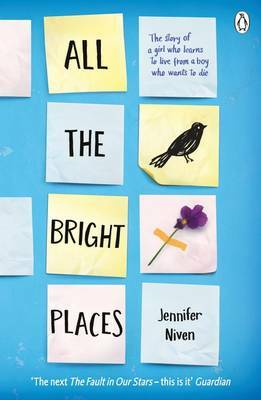 Considering it’s nearly Valentine’s Day, I decided it’s entirely appropriate to list some of my favourite Young Adult romances. I’m not the biggest romance fan? But it is a squishy moment of intense happiness when a couple defies the odds and gets together. Wild applause from me! 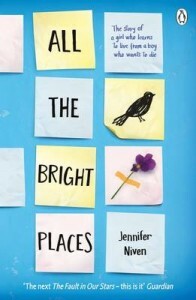 ALL THE BRIGHT PLACES: This is definitely a tragic sort of romance, but so addictive and beautiful and heart-lifting. I mean, it lifts your spirits and then makes you cry. But all the good books do that, don’t doubt me. Violet and Finch are definitely adorable and the way they help piece each other’s broken lives back together is incredible. 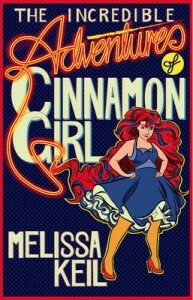 THE INCREDIBLE ADVENTURES OF CINNAMON GIRL: Speaking of incredible….THIS BOOK. It has a “best friend” romance, where Alba and Grady have to figure out if they love each other more than friends or not. The story is entirely adorably gorgeous. 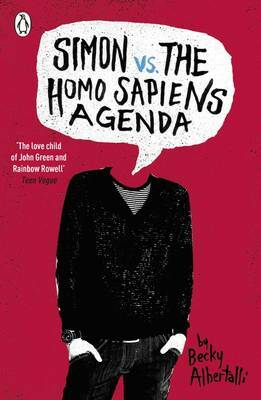 SIMON VS THE HOMO SAPIENS AGENDA: This is another intense cute-fest (that is totally a word, don’t doubt me) where not-so-openly-gay Simon is falling in love with his email-pal, Blue. Except he doesn’t know WHO Blue is. The banter is witty and quick and the romance is slow burning and excellently written. I was squeaking at the end. SQUEAKING. 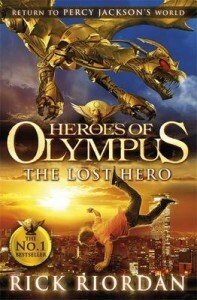 THE PERCY JACKSON SERIES: Can this post even exist without mentioning Percy and Annabeth?! (Or #Percabeth as is their ship name.) I will happily shriek my love for these two. She’s sensible and he’s a dork. Can they be more perfect?! 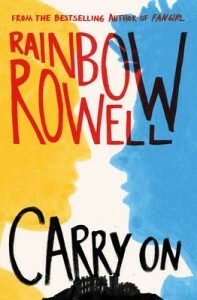 CARRY ON: I think Rainbow Rowell is basically queen of cute kissing scenes, and she outdoes herself in her latest book. Simon and Baz are enemies. Hahah ha ha ha…no. Their relationship is full of friction and banter, but ultimately I found myself rooting for these two. ROOTING HARD. 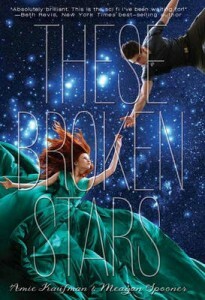 THESE BROKEN STARS: This is definitely one of the most gorgeous books (and covers!) of ever. But Lilac and Tarver?! Ohhhh, they are opposite personalities. She’s a “princess”. He’s a military brat. And their relationship is slow-burning and entirely romantic. 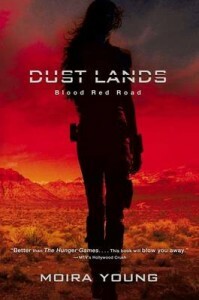 BLOOD RED ROAD: Jack and Saba have an “I hate you, I hate you, but kinda maybe I love you” thing going on…which has a tendency to be annoying? BUT NOT HERE. They keep saving each other’s lives and being there for each other in such a tough universe. DISRUPTION: Okay, another “I-hate-you-I-love-you” romance (apparently they’re my favourite?!) but I have to admit Maggie and Quentin are monstrously adorable. Maggie starts off by “using” Quentin in a Grand Scheme to free her father from an evil incorporation. BUT DUM DUM DAAAA of course she develops feelings. I develop feelings. So. many. feelings. Let me know your favourite YA romances in the comments below! How will you be celebrating this Saturday February 14th? Some see it as a chance to demonstrate the most romantic of gestures, showering their special ones with gifts of affection. Others only need to show an act of kindness to prove they care. Either way, whether it’s Valentine’s Day, International Book Giving Day or Library Lovers’ Day for you, this Saturday marks a day of appreciation for those we adore (including our love for books). 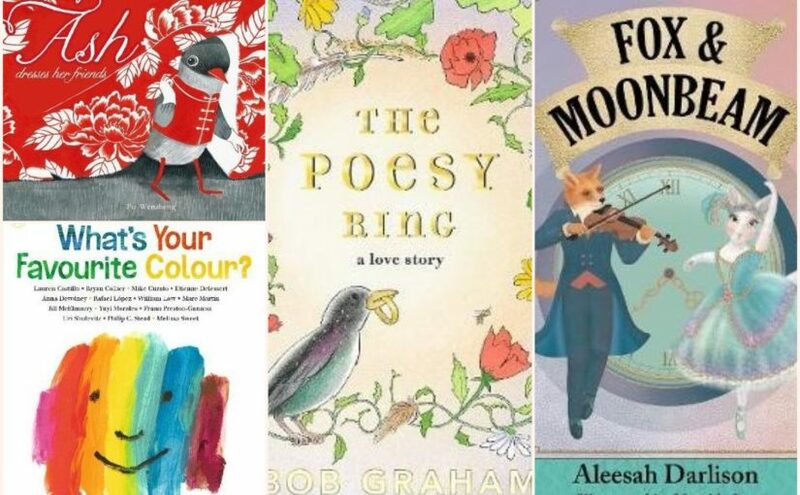 Here are some heartwarming stories that beautifully incorporate tenderness, charity, compassion, friendship and giving. Hooray for Hat!, Brian Won (author / illus. ), Koala Books, 2014. Hooray for Hat! 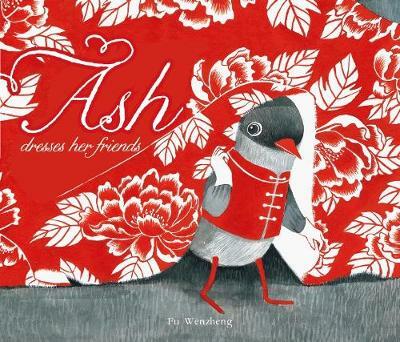 is an entertaining story that explores feelings, generosity and friendship. Depicted with a black scribble above his head and a wrinkled brow, Elephant woke up feeling grumpy. But an unexpected present at the door soon changes his mood. A marvellous multi-tiered hat immediately cheers up Elephant. Here, the book makes full use of the double page spread by turning Elephant on his side and includes large, colourful text, ”HOORAY FOR HAT!” Eager to show Zebra, Elephant discovers that he, too is grumpy. ”Go Away! I’m Grumpy!” As the story continues, Elephant carries on spreading the cheer by gifting each animal with a magnificent hat, bringing them out of their terrible mood. Showing concern for Lion’s friend, Giraffe, the group plan a spectacular surprise; a very grand, loving gesture. 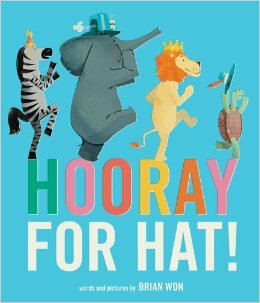 With gorgeously strong and colourful illustrations, repetition and boldness of the text, Hooray for Hat! 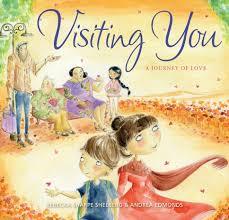 is a fun read-aloud book about friendship and compassion that young children will love. 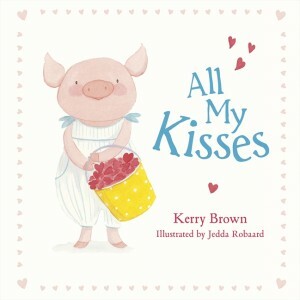 All My Kisses, Kerry Brown (author), Jedda Robaard (illus. ), ABC Books, 2014. 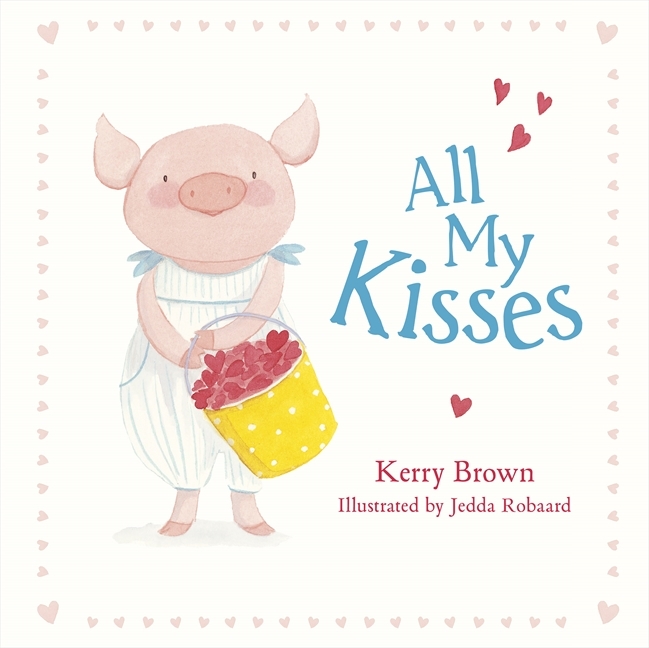 Another book about inspiring generosity is this story of a loveable piglet in All My Kisses. Abby is very kissable. She receives lots of kisses at bedtime, and likes to collect them in a special bucket. Abby is over-protective, claiming the kisses are too precious to share around. 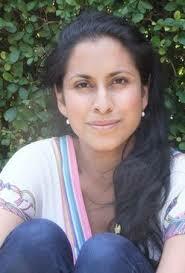 The overflowing bucket of kisses eventually turn into bleak, grey pebbles, so she discards of them in the playground. Soon Abby discovers that her pebbles are more than just that; they are a source of joy and delight for other children, with magical glowing properties at night. Abby eventually realises that sharing her kisses makes them much more valuable than keeping them to herself. The message of spreading warmth and togetherness flows across the pages, depicted by the soft and gently painted pig characters. All My Kisses is a tender story about encouraging affection. 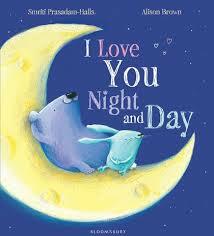 It is a beautiful bedtime story for toddler to preschool aged children. The Scarecrows’ Wedding, Julia Donaldson (author), Axel Scheffler (illus. ), Scholastic UK, 2014. 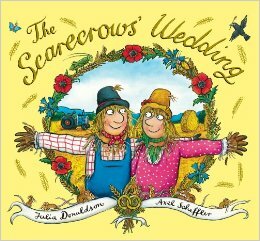 From the dynamic duo that brought us The Gruffalo is Julia Donaldson and Axel Scheffler’s, The Scarecrows’ Wedding. A story of love between two scarecrows, Betty O’Barley and Harry O’Hay. In beautiful, sophisticated rhyme, the verses tell of their journey as they plan their big wedding day. Hunting around the farm for the necessary items, the animals are more than charitable in offering to help with the dress, music, jewellery and flowers. But when Harry goes astray on his quest, the farmer replaces him with an obnoxious, greedy scarecrow called Reginald Rake. Luckily, Harry returns to save his future wife from deadly peril, Reginald abandons the scene, and the lovebirds enjoy the best wedding yet. Scheffler’s characteristically enticing and bright illustrations, and Donaldson’s delightfully rhythmic and humorous text, proves The Scarecrows’ Wedding to be both a fun and heartwarming read that kids and adults will love to share many times over. 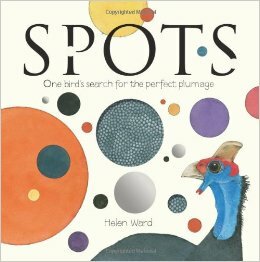 Spots: One bird’s search for the perfect plumage, Helen Ward (author / illus. ), The Five Mile Press, 2014. We love this story of a guinea fowl who just wants to fit in. It is a book about learning to love yourself, and spreading warmth around with something so simple… a smile. This particular guinea fowl is missing his spots. So he orders a delivery, only to discover the spots were all wrong. As more spots arrive, he finds they are too small, too invisible, and too bright. Join-the-dots spots are not quite right, and neither are splats, dots from i’s, freckles, leopard or ladybird spots. The spots that he finally wears are certainly unique and unashamedly eccentric, and this acceptance of himself assures his happiness. 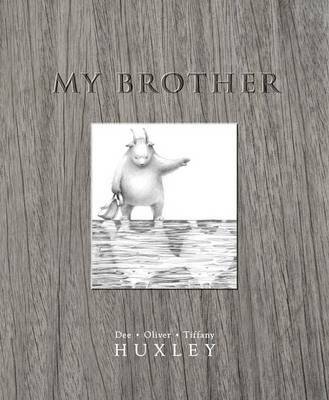 Beautifully simple text in rhyming prose, with the elements of humour and ingenuity. The illustrations are equally whimsical and expressive, and include interesting texture; both seen in the paintings and felt on the paper. Spots is an endearing book about giving, receiving and appreciating what you’ve got, and is perfectly suited to preschool-aged children. 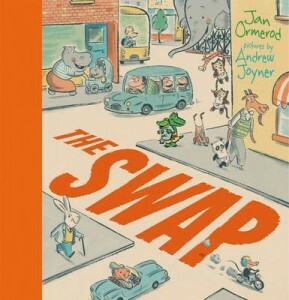 The Swap, Jan Ormerod (author), Andrew Joyner (illus. ), Little Hare, 2013. From the late Jan Ormerod and Andrew Joyner is a story of sibling love (in disguise); the award-winning The Swap. Here we have a classic case of a mother ogling over her precious baby, and an older sibling feeling the jealousy curse. Caroline Crocodile is tired of hearing how gorgeous her baby brother is, and how he takes up the room on her Mama’s lap. She just wants some smacky-smoochy love for herself. When Mama Crocodile asks Caroline to look after her brother for a little while, it is what happens next that really hooks us in. Caroline decides to take her dribbly baby into the Baby Shop, and it is one of those laugh-out-loud moments when in a surprising twist, the shopkeeper agrees to swap him for other animal babies. With all good intentions, Caroline trials one at a time, only to discover that none of them quite match the brief. With a ‘gorgeous’ ending, Caroline understands why her brother is special and accepts him just the way he is, dribbles, smells and all. She also gets the reward from Mama that she always longed for. The warm, humorous text matches perfectly with Joyner’s illustrations, including terrific character expression, plenty of fun and interesting details in every scene, and the soft pastel colour tones and patterns that reflect a bit of a groovy, retro vibe. Classy look, classy tale, The Swap is a true all-round classic that is irresistibly lovely for children and adults, alike. So which beautiful books will you be sharing with your loved ones this Saturday? Okay, so I’ve missed the love boat on the Valentine’s Day cruise again this year. Who says we can only share bad love puns and schmaltz on just one specific day of the year? Cue, I Love You Night and Day, by popular London writer Smriti Prasadam-Halls and UK illustrator, Alison Brown, which by the way is not as schmaltzy as it sounds. 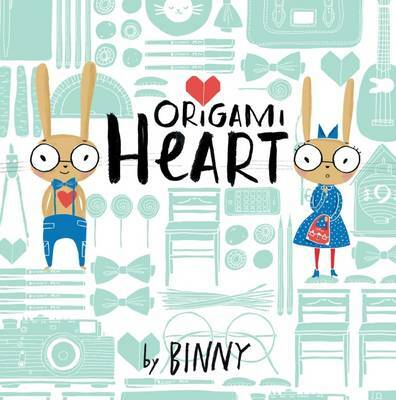 I admit the mawkish title and subdued cover with cliché cute rabbit and bear took a while to lure me in. But once I got past the love hearts and daisy chains, I immediately knew I wanted more, rather like the archetypal box of chocolates. And it was an equally delicious experience! Prasadam-Halls has penned a picture book that could easily serve as an ode to love for devotees of Valentine’s Day, although 0 – 5 year olds are more likely to fall in love with it. Bunny and Bear are great friends; friends who love each other through thick and thin, during their high points and their lowest and for better or for worse. 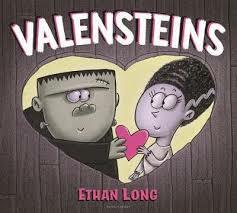 Yes, it does resemble the idealisations of some poetic wedding vows however that is exactly what makes it so quietly appealing for the adults who will be sharing it with young children. Bear and Bunny’s relationship cleverly reflects a cross-section of relationship combinations including those of: parent and child, grandparents, BFFs, siblings and spouses. Each is a scenario most young children will either be familiar with first hand or by association and therefore have an immediate connection with. Prasadam-Halls uses uncluttered easy rhyming verse to deliver some truly moving sentiments. ‘I love you huge, I love you vast. 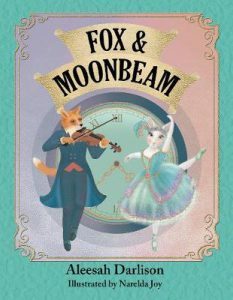 For the fun to come and the fun that’s past’, is one of my favourite lines and is endearingly accompanied by soft orange page colour and illustrations of Bunny and Bear sharing old photos and memories. 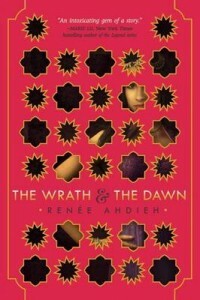 For me, this represented loss as well as the cherishing of the past but also delivered a strong sense of hope. Time and love knows no bounds; love is bigger than the universe – kind of things. If I’m making this sound as though the text is cloying with cuteness too thick to swallow, then that’s only because I was genuinely surprised by how much I Love You Night and Day resonated with me. Perhaps it is the scent of so much schmaltz wafting about at this time of year. 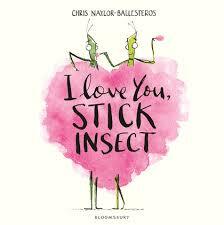 More probably, it is because this picture book really is a joyful, moving and balanced celebration of love. Love of friendships, nature and emotion itself. 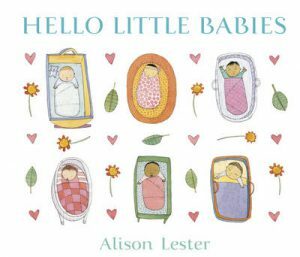 Alison Brown’s painted and pencilled illustrations are saturated with pure emotion and vibrant colour, sure to entrance a two year old as convincingly as Chanel No. 5 and chocolate works for me. My only niggle, that the text on some pages is black against deep indigo which makes it a tad difficult to read, especially in those low light situations you might find yourself snuggling up to read this book in. Otherwise, I Love You Night and Day sings of the beautiful unconditional type of love children most especially are abundantly endowed with. For that reason alone, it will warm the cockles of your heart and delight them no end. It is never too late to share the love, a philosophy my other half also follows – thankfully with blocks of chocolate. Okay, so he’s a few days late too. Never mind – it was Willy Wonka. December and the holiday season is a receding memory (even if several of my neighbors still have sad and tattered pieces of tinsel wilting on their doors and balconies) and we are entering what I call “the chocolate season” – Valentine’s Day and Easter. I don’t usually make a fuss over Valentine’s Day. It’s not that I hate the day so much as I want every day to be “hey, you can whisk me off to Paris now” day – if you limit yourself to one day of the year, what happens if they decide they want to do it in July? Do you have to wait the eight months or can you split the difference? But there is no doubt it’s a time when many people’s thoughts turn to love so if you are looking for real-life romance, here’s a few books guaranteed to warm the heart and stir the reader into great romantic deeds – and possibly purchasing that ticket to Paris. If you are want inspiring tales of real life love, check out the recently released All There Is by StoryCorps founder Dave Isay. In it he shares with the reader more than 30 touching personal stories of real-life love and marriage, as told by the people who experienced it. From falling in love to remembering a lost loved one, from the excitement of falling head over heels to love that endured despite discrimination, illness, poverty, distance, this collection is a powerful and uplifting reminder of the strength of the human heart. It shows love in all its complexity and diversity. 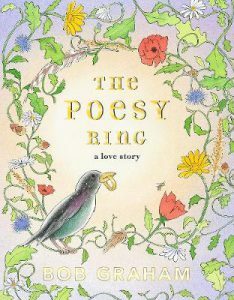 Long-term relationships and newlyweds, gay and straight partners, high school sweethearts and long-distance penpals, from couples who met in a military base to those who reunited in their old age, this compilation of stories is a must-read for those who love love stories and will touch the heart of even the most determinedly non-romantic. StoryCorps is an American nonprofit organisation who have, in the last decade, collected more than 30,000 interviews from more than 60,000 participants in order to give people of all backgrounds and beliefs an opportunity to record and share their stories. These stories are recorded on to a CD for participants to share, archived at the American Folklife Center at the Library of Congress, and broadcast on public radio and at their website. If you’d like something romantic but not in the modern day, there’s no end of great love stories in history to inspire you. 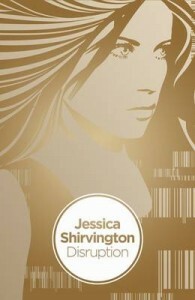 Some have been heavily interpreted and rewritten in the manner of a traditional romance such as Andrea Stewart’s stirring Rose of Martinique, the biography of Napoleon’s partner, lover, confidant and political advisor, the captivating Josephine. (You could also read their love in their own words with Napoleon’s Letters to Josephine, a collection of their correspondence.) For those who like their love stories lengthy, complex and a little bit tortured, try Norah Lofts Eleanor the Queen, a fleshed-out account of the life of Eleanor of Aquitane, who married two kings and was one of the most influential women of her age. They don’t have to be famous to be an epic love story, as Martin Goldsmith’s Inextinguishable Symphony proves. Martin (the host of NPR’s Performance Today where he shares his love of classical and rock music), is the American-born son of two German-Jewish musicians who met through music and managed to escape the Holocaust. He follows his parents through their early musical training, their blossoming love and marriage, to their miraculous rescue and escape to America. He also follows his family members that were not so lucky and remained in Nazi Germany, suffering ever-tightening persecution and eventual journeys to the gas chambers. This story of love and music in turbulent times is a challenging but ultimately uplifting read and well worthy of a place in your reading this Valentine’s Day, however you choose to spend it.